What’s Next for the Pittsburgh Penguins Moving Forward? For the first time since Apr. 24, 2015, the Pittsburgh Penguins have been eliminated from the Stanley Cup Playoffs. The back-to-back Stanley Cup Champions were unable to complete the comeback, losing to their rivals, the Washington Capitals, in Game 6. So what’s next for the Penguins? A well-deserved break. 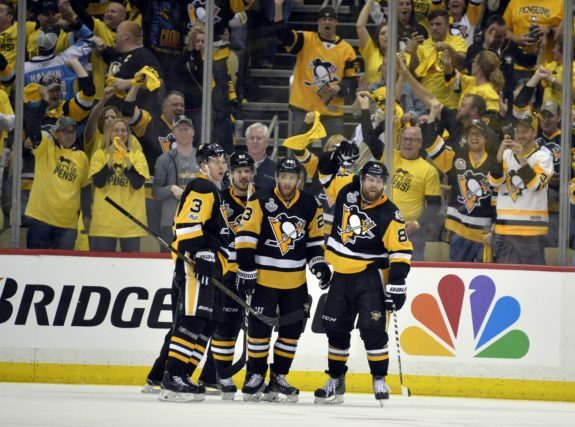 Despite a losing effort, Game 6 marked the Penguins 61st playoff game in three years. They had won nine consecutive playoffs series and turned unknowns into household names. But it was time for their story to come to a close. Deep down, this season felt different. Although the Penguins had a poor start to the regular season, they once again turned their play around at the beginning of January. Big names began to step up and a three-peat looked like it was on the horizon. Going into the 2015-16 NHL season, saying this team had a lot to prove was an understatement. Penguins general manager Jim Rutherford acquired Phil Kessel after being eliminated by the New York Rangers for the second year in a row. Time was running out on the Crosby-Malkin era in Pittsburgh. 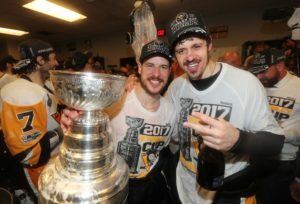 How could two generational players only have one Stanley Cup to prove their dominance? They had great regular seasons but continuously struggled every April. Once they began the 2015-16 season with a 15-10-3 record under coach Mike Johnston, and Sidney Crosby struggled out of the gates for the first time in his career with a mere 19 points in 28 games, something had to change. Just as the 2008-09 Penguins did to spark their team, Johnston was fired and Mike Sullivan was brought in as the new head coach in December 2015. It only went up from there. They finished the season 33-16-5 under Sullivan. Key players like Crosby, Kessel and Kris Letang were playing some of the best hockey of their careers. The team easily rolled into the playoffs and past two of their most-hated opponents, the Rangers and Capitals. Facing adversity in the Eastern Conference Final, down 3-2 in the series against the Tampa Bay Lightning, the Penguins clawed their way to Game 7. In a core group that includes two of the best players in the world, Bryan Rust was the hero with two goals that helped cement the Penguins’ Stanley Cup dreams as they would go on to beat the San Jose Sharks. Last season was different but familiar. Where 2015-16 was a breeze, the Penguins Cup run in 2016-17 was an uphill battle. No team had repeated as champions for almost 20 years. 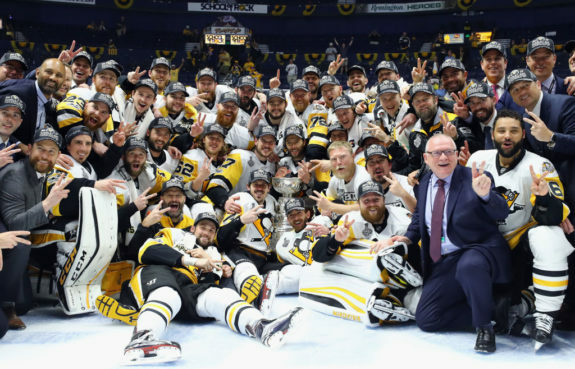 Pittsburgh had to prove its resilience against Washington and Ottawa on their way to playing one of the best home teams, the Nashville Predators, for the most-prized trophy in all sports. It was gritty, it was long, but boy was it worth it to be on top again. 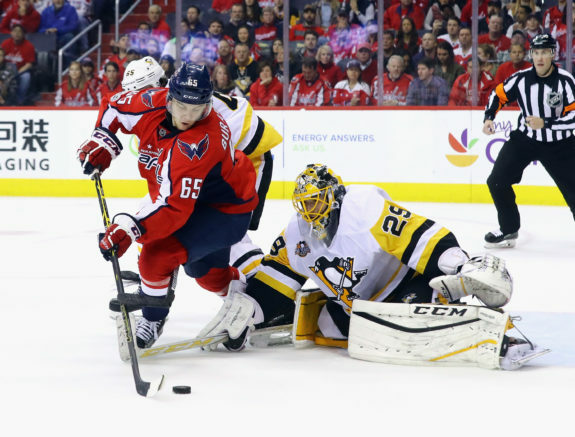 After having difficulty against an unorganized Philadelphia Flyers team and spectacularly blowing Games 3 and 5 against a depleted Capitals lineup, the Penguins found themselves in unfamiliar territory. They were badly outplayed all series long and it showed dramatically at times. During Game 3 they allowed Alexander Ovechkin to score with just a minute remaining in a tie game. In Game 5, after playing the best period of their playoffs up to that point, they gave up four unanswered goals in the third. This year the Penguins always looked unsure of themselves, something that hasn’t been seen for quite a few years. There was no urgency that they needed to win Game 6; not much sadness once Evgeny Kuznetsov secured the series for the Capitals; no tears as they left the ice for the final time. Since the beginning of the 2015-16 season, the Penguins have played 307 games (regular season and playoffs combined). Kessel who was not up to his usual self this entire playoff season has played in all 307 of those games. They were going to get tired and their time had to come to an end sometime. The team will likely stay the same over the next year. Of the six free agents, re-signing Rust and likely Jamie Oleksiak will be a priority for the offseason. Overall, the team needs an extended break in order to make another run in future years to come. There is absolutely no reason to be upset by this early playoff exit. The Penguins were Stanley Cup Champions for 695 consecutive days and counting until a new team is crowned. That’s unbelievable for any team in the salary cap era. The last NHL team to three-peat was the New York Islanders when they won four Stanley Cups from 1980-83. Sidney Crosby and Evgeni Malkin weren’t even born yet. The last major American sports franchise to win three consecutive championships were the Los Angeles Lakers in 2002. Since starting their tremendous Cup run in 2016, the Penguins have gone 38-17 in the playoffs. Matt Murray has cemented his spot as Pittsburgh’s No. 1 goaltender. Inexperienced players came out as rockstars. And a team that had had its playoff nightmares found a way to win.